FoodShed, the newly reimagined café that Karen Karp & Partners designed and implemented for the Children’s Discovery Museum of San Jose, was dedicated this past Thursday, March 3, with a program called “Stirring It Up: What’s Cooking in the Children’s Food Movement,” featuring remarks by food entrepreneur and former White House chef Sam Kass and Karen Karp, founder and president of Karen Karp & Partners, which developed and implemented the café program. 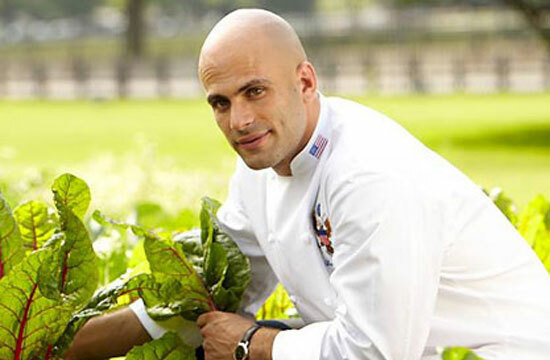 Sam Kass discussed the influence of food marketing and sustainable agriculture on a global scale and shared his impressions of the impact of FoodShed. 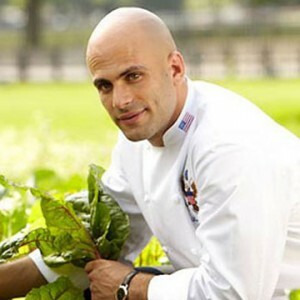 You can view Sam Kass’s remarks here. Karen Karp discussed the project and shared key findings from the case study, “Food as Discovery: Cultivating Culinary Experience for Mission Alignment,” written to provide other cultural institutions with a blueprint for change. You can view Karen’s remarks here. Celebrating “Healthy Food for Families – Healthy Bottom Line for Business,” FoodShed is the result of a bold, three-year project that set out to better align the museum’s café with its mission, related exhibits and programs, and demonstrate a profitable bottom line by providing children and adults with the opportunity to make healthy and sustainable food choices. Children’s Discovery Museum of San Jose leads the nation in successfully dispelling the myth that food service at youth attractions can’t make a profit offering healthy, delicious and whole food that is fresh, seasonal, minimally processed, low in added sugars, and free from additives, chemicals and artificial ingredients. At the end of 2015, after six months of operation, FoodShed revenues exceeded projections by 17 percent and were 39 percent greater than the former museum café earned in the previous year. For the first time in the museum’s history, the museum is sharing in revenues generated from café sales. Customer feedback has been positive, staff have become regulars, and nearby downtown employees are eating there, too. In 2013, the museum hired highly respected New York-based food consultant Karen Karp & Partners to evaluate the museum’s concessions and better integrate the café with its values and its health- and food-related exhibitions and programming while developing a business model that supports sustaining both healthy bodies and healthy business results. The outcome is a national model for cultural institutions, proving that mission, values, and the bottom line are compatible, and that parents and caregivers are grateful to have healthy foods available and particularly thankful that the only beverage choices for children are water-based drinks and milk. Young visitors at FoodShed watch fresh food being prepared and then select their own fresh vegetables and fruit from the season’s locally sourced produce at the Rainbow Station. The most popular item, the “Bento Box,” further enhances the fun factor, allowing kids to choose items to create their own box. FoodShed is the final piece of a three-pronged approach undertaken by the museum to help children learn to “eat a rainbow every day” in order to develop a healthy body. Over the past decade, the museum has refocused exhibit and program spaces around this message, developed week-long Move It! festivals for families to encourage physical activity, and now with FoodShed is role-modeling how to incorporate fresh produce into children’s daily lives.